2 Nights Bed & Breakfast, Dinner, Lunch + Bike Hire for 2 Adults and 2 Children (under 12yrs) sharing. 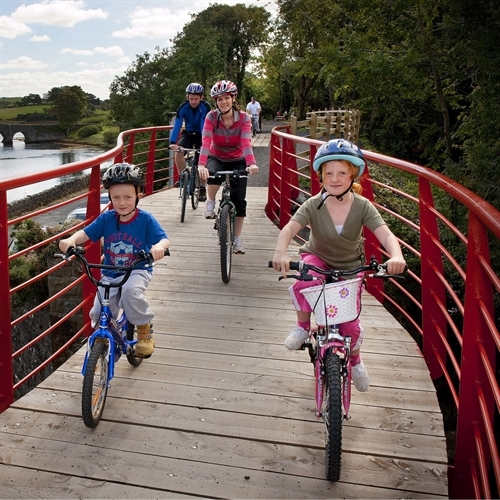 This package offer the best value family cycling holiday around! From only €134.50 per night, based on two adults and two children (under 12yrs) sharing in a family room - this is our best value package.